Home Blog Which Exercises Burn the Most Calories? Regular exercise has numerous health benefits from improving your mood and increasing energy, to helping you burn calories and control your weight. Exercise also helps you fight health conditions such as high blood pressure. For example, no matter what your weight is, exercising improves HDL (high-density lipoprotein), otherwise known as the good cholesterol, as well as decrease unhealthy triglycerides. If you want to gain mass, that’s also possible with effective muscle-building exercises an good old consistency. The more intense the physical activity, the more calories you burn. But with so many different ways to exercise, from the treadmill to swimming to playing sports, how do you know which one will burn the most calories? Don’t worry, BPI sports’ is here to help. Just continue reading and find out how to maximize your workout time, burning the most calories as possible. 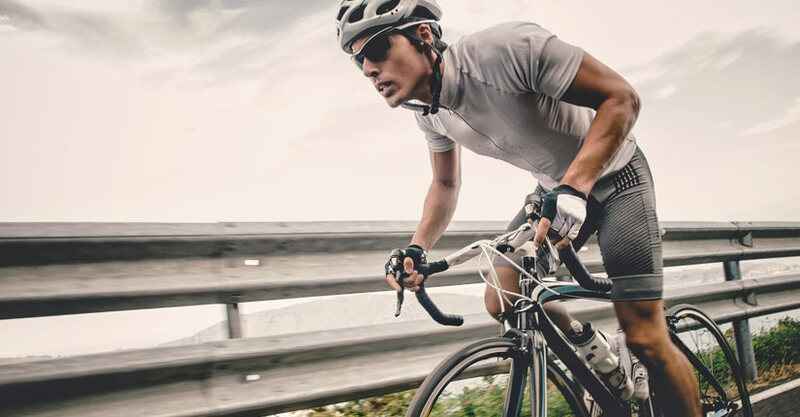 Cycling is a great exercise, but the exact number of calories burned is hard to determine since it depends on a few factors, such as the effort you put in and even your weight. For instance, men will burn about 100 calories more than women for every cycling hour. The terrain you’re riding on can also make a difference in the total number of calories burned. If you’re going up a hill, you’re expending more effort, so you’re burning more calories. This exercise machine is in virtually every gym, from nationwide fitness centers to local boutique gyms and even various residential communities across the U.S. The popular fitness staple allows you to do a non-impact cardiovascular workout so there’s no excessive pressure on your joints. With the elliptical, you’re working out both your upper and lower body simultaneously and can also choose your own intensity levels. Swimming is a great cardio workout, and is very gentle on your joints, so it’s great for people with weaker knees, lower back injuries or arthritis. The low-impact exercise works different muscles at at time, including your legs, arms, back, even glutes and quads. For instance, the breaststroke uses mostly back muscles but also requires abduction and adduction of the legs, while the front stroke has you working out your chest muscles. Thanks to the resistance from the water, swimming allows people to burn hundreds of calories. Did you know water resistance is about 12 times the level of air resistance? Typically, you can torch about 800 calories per hour for men, and 700 calories for women. Swimming also boosts your metabolism and makes you more flexible. For more content on swimming, check out various blogs written by Team USA’s James Lenger, including the How to Train For a Triathlon series. Less is definitely more in the case of high intensity interval training (HIIT). HIIT is very popular among the fitness enthusiasts and the super-efficient, since it not only burns tons of calories, it helps you tone up, too. So what is HIIT? Workouts that alternate between intense bursts of activity and fixed periods of less intense activity. For example, running as fast as possible for a minute, followed by walking for two minutes. Not only do you burn an enormous amount of calories during your intense workout, but you also get to burn more fat and calories in the following hours. High intensity interval training allows you to preserve your lean muscle by having most of your weight loss come from fat stores. This type of workout also stimulates production of human growth hormone (HGH) by up to 450% during the first 24 hours following your HIIT workout. This increases your total burned calories and even slows down the aging process. The best part is that you can perform HIIT without any equipment. Instead, you can do various exercises with your own body weight like high knees or jump lunges. Haven’t jumped rope since you were 7 years old? It may be time to get back to it. You can burn a huge number of calories skipping around and it’s great for your heart. You can incorporate the exercise in your workout routine or even alternate with a lower intensity exercise like walking. As far as how high to jump, you shouldn’t jump more than one inch off the floor. If you have a busy schedule and don’t have the time to prepare a quality protein shake after any (or all) of these workouts, refuel and repair with clean calories like BPI Sports’ great-tasting newest protein supplement. The Best Protein Bar™ packs 20 grams of clean protein including whey protein isolate, milk protein isolate and whey protein, for a delicious, on-the-go, healthy snack.